Have you heard of Toastmasters? We are a local Toastmasters club that gets together every Friday at 12 p.m. at San Rafael City Hall. We love guests. Every meeting is full of activities that provide everyone an opportunity to speak. Come join us for a day or two, with absolutely no obligations, and decide if it’s right for you. Reach out if you have any questions. 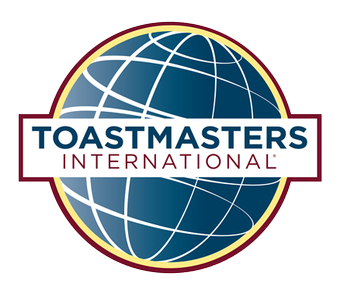 MEETING TIMES: 12 p.m. to 1 p.m.
Toastmasters International is a nonprofit educational organization that teaches public speaking and leadership skills through a worldwide network of clubs. Toastmasters is the best way for anyone—whether a working professional, student, stay-at-home parent or retiree—to improve his or her communication and leadership skills. Members overcome the fear of public speaking and learn skills that aid them in becoming more successful. Toastmasters creates better listeners and stronger team members and leaders who can comfortably give and receive constructive evaluations. For more information, visit the Rise and Shine Toastmasters Club website.